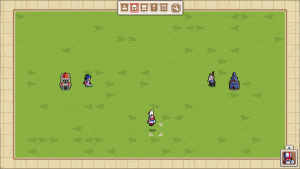 Wargroove's map editor is a powerful tool which allows players to create and share custom maps. The map editor was utilized by the developers used to create all encounters in the game (including maps, cutscenes, and the campaign via the campaign editor) - so it's actually a complete featured development toolbox, which is available inside the game for players to utilize. Maps created using the map editor can be saved and shared online, cross-platform. To open the map editor select Custom Content on the main menu, then Create, and Map. This will bring up the map selection screen, listing your saved custom maps. Select New Map at the bottom of the window to create a new map. Skirmish: A simple battle map without any scripting, events, or cutscenes available. The win conditions defeat the enemy commander or capture their stronghold. Scenario: Scenario allows players to zone locations to tie into the Events Editor as well as the Cutscene Editor. They'll give players the ability to make more advanced scenes and sequences using scripting and logic. Puzzle: Puzzle Maps only have one human player, and need to be completed in one turn. The rules of this map prioritize strategy - every move counts. A great way to make a quick map to challenge friends to try and beat. The map type can be changed anytime in the Map Properties section of the settings menu (ESC). An alert will display if the map doesn't meet the requirements of the selected Map Type (eg Missing enough commanders, or missing a map description). Inside the map editor a toolbar is attached to the top of the window. Each toolbar button corresponds to a category of items, areas, or settings. When a category has been selected, items available to place will be available in the bottom right editor box. It can be expanded by selecting it, and then the appropriate item can be chosen and will remain highlighted when toggled. When the box closes, the window will collapse and display what the cursor currently has available to place. Left clicking places the selected item, right clicking removes it. Right clicking will also clear whatever is on the tile for the selected toolbar category (for example right clicking while 'Terrain' is selected in the toolbar will clear the any terrain type back to Plains). Toolbar buttons can be selected on the keyboard by using number keys and ESC to display settings. Terrain Allows selection of each of the game's terrain types. Terrain effects movement and unit defense, and some units have restrictions on the type of terrain they can travel over. Units Allows placement of units. The dropdown at the bottom of the selection menu toggles which player the units should be assigned to, or if they should be neutral units. Clicking the player button beside the drop down cycles through available players. Structures Allows placement of structures. The dropdown at the bottom of the selection menu toggles which player the structures should be assigned to, or if they should be neutral buildings. Clicking the player button beside the drop down cycles through available players. Decorations Allows placement of decorative elements. These have no impact on gameplay or units and are purely aesthetic. Allows mapping of invisible areas which can be named, then utilized inside the Events Editor to trigger events when an action happens inside the location zone. Inspector The inspection tool allows players to look at advanced properties for the elements already placed on the map and adjust them. Settings The settings button (shortcut ESC) brings up the 'Map Properties' menu, 'Player Properties', 'Settings' and allows Saving and Exiting the editor. Map Properties can be accessed inside the Settings menu. This menu allows management over all aspects of the map - rules, weather, music, and Map Type. Name Please pick a name for your map. This will be shown when selecting the map to play, edit, or share. Visibility Clear, Fog of War Choose if you want to play with full visibility, or with fog of war. Music Choose which music to play on this map. If set to Current Player Theme, it will change every turn. Adjusting these values changes the size of the map area. The number beside each side is the number of tiles the size will increase from that edge of the map. This tab will only appear if Scenario is the selected Map Type. This allows selection of more advanced map options, like S-Rank turns and income multiplier. Objective Enter the objective for the map. This will be displayed on the overview screen. Can choose commander If unticked, the player cannot choose which commander to play with. Joint defeat If ticked, when any player is eliminated, all of their teammates will also be eliminated. S rank turns The maximum number of turns within which the map can be completed and an S Rank still awarded. Other ranks are computed based on this. Income multiplier Multiply all received income for all players by this number. 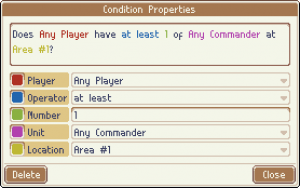 The player properties menu allows control over what each player can do, which characters they have available, and AI profiles for computer controlled players. Commander Choose which commanders are available to this player. Initial gold Choose how much money this player starts with. This is a checklist of all units. Unchecked units will not be available for purchase by this player in their respective recruitment buildings. This is a checklist of all unlocked commanders. Unchecked commanders will not be available for selection by this player when starting a game. Locations are a toolbar option available in Scenario and Puzzle Map Types. There are no locations on Skirmish maps. Locations are available to place when selecting the location category in the toolbar. 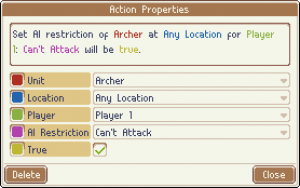 The option to 'Add' or 'Edit' locations becomes available in the selection box, and blocks can be highlighted to designate they are part of that 'zone'. Locations can each be named and are brightly colored in the editor to help identify them and keep them organized. While playing on a map, location zones become invisible. Mapped areas do not need to be connected tiles or unique colors. When selected in the location listing, the active location will be highlighted, and the camera will center on it. Just like other placement tools - left clicking maps a tile to the active location, and right clicking removes it. Locations can be referenced in the Events Editor to be utilized for triggers or actions. For example, players could map a group of forest tiles as a location - then set a trigger condition (when any player enters) and action (enemy team spearmen appear), to make it so if players enter the forest they'll be ambushed by enemy spearmen. Locations allow players to have control over the map at a very granular level - and open up a whole new set of rules options. The cutscene editor is a fully featured in-game movie maker. Players can place 'actors' into scenes, determine their placement and actions, and even write their own custom dialog. The same editor was used during development to assemble all the Campaign cutscenes in the game. After creation, cutscenes can be linked in the Events editor to specific actions or conditions in a map which will trigger them to play. To access the editor from a map, enter the Settings menu (ESC) and select Cutscene Editor. Inside is a list of created cutscenes which can be selected for editing, or a new cutscene can be created. Inside the editor, you'll see an empty canvas, some play controls at the bottom of the window, and Scene Settings and Timeline buttons at the top. Scene settings is where the cutscene's name can be set along with the scene background, weather, music and ambient sounds. The timeline is the backbone of the Cutscene Editor. To open it, select the Timeline button at the top of the window, and a side panel will appear. Inside, players can sequence a list of events which dictate every action in the scene - essentially acting as the scenes 'script'. To create a new action select New, and the New Event menu will appear. Each option in this list has a submenu of customization options. For example, selecting 'Create Actor' brings up a property menu for the event that allows control over what specific unit appears, what faction they belong to, their color, how they move and from which direction, emotes, and their grid slot (position). Actions also have a toggle for 'Blocking'. When this is selected the action will 'block' any further events in the timeline from triggering until it has completed. It allows for spacing out of scenes so actors don't walk and talk over one another. Create Actor Add a character to the scene. Any unit type or commander can be selected, and settings control over their faction, and color, how they move in and from which direction, emotes, and their grid slot. Remove Actor Exit a character added using 'Create Actor'. Settings control how they move out of the scene and in which direction. Move Actor Have a character added using 'Create Actor' move within the scene. Settings control how they move, in which direction, and what their destination grid slot will be. Add Speech Bubble Adds a speech bubble above a character. Dialogue, text size, name display, and linked voice acted lines can be controlled in settings. Add Narration Adds a narration banner to the top of the scene. Text and text size can be controlled in settings. Attack Select a character to attack another. Settings control which character attacks, who they attack, what grid tile they attack from, how they move and if the hit animation triggers from the attack. Pause/Wait Pause for a set number of seconds. Sound Effect Allows assignment of a sound effect to a tile. Settings control which sound effect to set, and which tile to store it on. Visual Effect Allows assignment of a visual effect to a tile. Settings control which visual effect to set, animation direction, and which tile to display it on. Emote Have a character emote. Settings control which character, what emote they'll use, and the direction they'll face. Set Music Sets a new music track, it will continue over events which follow. Set Ambience Set ambient nature sounds to play, it will continue over events which follow. Set Weather Sets weather for the scene, it will continue over events which follow. Set Background Sets the background for the scene, it will continue over events which follow. Fade In Triggers a fade in from black. Settings control how long the fade takes. Fade Out Triggers a fade out to black. Settings control how long the fade takes. Shout Trigger an actor to say a voice acted line which corresponds to their character. Screen Shake Set the cutscene window to shake. Settings control the shake X and Y offsets, and the duration of the effect. Create Prop Places a decorative prop in the scene. Settings control which prop, the direction it faces, and the grid slot. Destroy Prop Makes a prop placed using 'Create Prop' disappear. [wavy] Wavy text. Use it again to end effect. [shaking] Words shake. Use it again to end effect. [scared] Letters shake. Use it again to end effect. [fast] Text appears fast. Use it again to end effect. [slow] Text appears slow. Use it again to end effect. The guide Basic Map Scripting gives a quick introduction to the game's scripting system. The events editor allows for sequencing actions to code logic into maps. Players can configure triggers which activate specific events (cutscenes, units appear, branching campaign paths, etc). 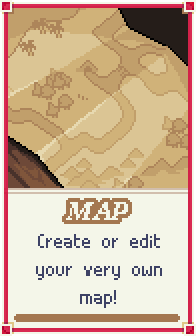 It's available in the settings menu if the Map Type is set to either Scenario or Puzzle under Map Properties. Triggers are used to implement sequences of actions that happen in response to conditions being fulfilled by the player. They're configured as sets of conditions which cause pre-defined outcomes to occur on the map. When all conditions are met the actions listed in the trigger will be executed. They can be configured to happen multiple times or only happen once. When players open this on any new map they'll see a list of the victory conditions as triggers - these can be examined to help understand how the map determines the winner. Each trigger has a separate configuration - dictating when it should happen, to what players, the conditions which must be met, and finally a list of actions to perform when set off. Players Each ticked player will be assigned a copy of this trigger, and will be checked in turn. When the game is checking the conditions for a given player or executing the actions for that player, they will be considered the "current player". Conditions Trigger conditions will be checked frequently during play. If ALL are fulfilled the trigger will execute. Actions When the trigger is executed, all of the following actions will be executed, one at a time, in the sequence provided. Conditions are what determine if a trigger will be activated. There can be one, or multiple, attached to a trigger. For the trigger to activate ALL conditions must be met. Eachcondition has a properties submenu - once selected options can be selected to develop a conditional statement. Each option in the properties window has a color, and that color corresponds to a variable in the conditional statement of the action. Players can adjust these values until they've customized the condition to activate exactly when they'd like it to. Player: Number of Opponents Triggers based on the number of opponents a player has in the game. Player: Victorious Triggers when a player is victorious. Unit: Presence Triggers is a certain player has a certain amount of a certain unit in a certain location. Unit: Visible Triggers when a player can see a unit or structure. When: End of Turn Triggers at the end of the turn. When: Start of Turn Triggers at the start of every turn. Actions are what happens when all conditions for a trigger are all met. Triggers can have a sequence of actions, and they'll activate in the order they're listed. Like conditions, each action has a properties submenu - once selected options can be selected to develop a conditional statement. Each option in the properties window has a color, and that color corresponds to a variable in the conditional statement of the action. Players can adjust these values until they've customized the action to do exactly what they'd like to do. AI: Set Profile Sets the AI profile. AI: Set Restriction Sets or removes AI restrictions from units. Campaign: Add Cutscene Adds a cutscene to be played at the end of the battle on the campaign map. Location: Move to Location Moves a location to be centered on another location. Location: Move to Unit Moves a location to be centered on a specific unit. Map: Change Objective Sets the map objective. Map: Modify Counter Modifies a counter by adding to it, subtracting from it, or setting it to a specific value. Map: Set Flag Sets or unsets a map flag. Map: Set Music Sets the map's music. Map: Set Weather Sets the weather. Player: Change Team Changes a player's team, affecting their allegiance with others. Player: Eliminate Eliminates a player from the game. That player's units die, and their structures become neutral. Player: Modify Gold Modifies a player's gold by adding to it, subtracting from it, or setting it to a specific value. Player: Victory Gives victory to a team. All other teams lose the game. UI: Centre Camera Centres the camera on a specific location. UI: Set Location Highlight Highlights a given location. UI: Show Dialogue Box Triggers a dialogue box for a given character. UI: Show Objective Shows the current objective. UI: Update Fog of War Updates fog of war. UI: Wait Waits a specified amount of time. Unit: Change Type Changes a unit from one type into another. Unit: Convert to Player Transfers ownership of a unit at a given location from one player to another. Unit: Modify Groove Modifies selected commanders' Grove meters by adding to them, subtracting from them, or setting them to a specific value. Unit: Modify Health Modifies selected units' health by adding to it, subtracting from it, or setting it to a specific value. Unit: Remove Removes all units or structures of a given type somewhere on the map for a given player. Unit: Set Turn as Spent Sets a unit as having spent its turn or not spent its turn. Unit: Spawn Spawns a unit or structure somewhere on the map for a specific player. Flags can be used by triggers to store binary information. A flag can be in one of two states: set (true) or unset (false). Players can create new flags in this tab to tie into their triggers, name the flags, and set their default state. Counters can be used by triggers to store a value in the form of a number. Players can create new counters in this tab to tie into their triggers, name the counters, and set their default value.